People are becoming more environmentally conscious in light of our changing world. Mined diamonds come out of massive mining operations that damage or destroy ecosystems. The average yield in most diamond mines is 1 part diamond to 1 Million parts host rock. Contrary to that, all cultured diamonds are made in a controlled environment, using only modest amounts of resources to grow a diamond. 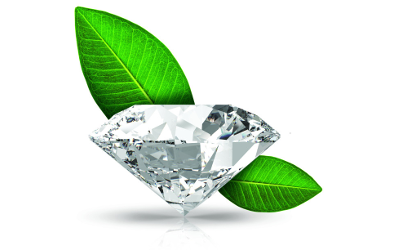 The cultured diamond industry’s annual production volume is only .1% of mined diamond production. This means that there are only 150,000 carats of cultured diamonds versus 146 Million carats of mined diamonds every year.